The latest addition to Oceanflow Yoga is the newly created Wellbeing Studio. A haven of peace and tranquility with beautiful sea views, the warm and cosy space hosts several of the best holistic therapy practitioners in Cornwall. Therapies on offer from the Oceanflow Wellbeing Studio currently include Massage, Bowen and Reiki. Below are more details of the therapists who offer the treatments from this lovely zen space. We have tried all the treatments ourselves and have found each of the therapists to have the most amazing energy and healing qualities. They all come very highly recommended. Martina has been massage practitioner over 20 years. 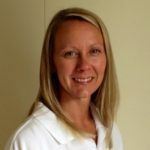 She has travelled all four corners of the world utilising her skills in Swedish Massage, Thai Massage, Sports Massage, Acupressure, Reflexology, Watsu and Cupping to improve the lives of many people. 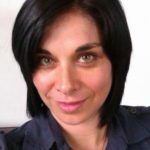 As an energy worker, Martina is quick to tune into the needs of each individual meaning the treatment can be highly tailored to achieve the best results. The Bowen Fascial Technique is a safe remedial, hands-on therapy that is applied using very light pressure. Gentle non-invasive rolling-type moves are made by the practitioner using their thumbs or fingers over precise areas of muscles, ligaments, tendons and fascia (connective tissue). Between each series of moves the client is given periods of rest that prompts the body to rest, repair and balance itself. It is these features which makes the Bowen Technique unique. There are no manipulation or adjustments of hard tissue and no force is used; the treatment is gentle, subtle and relaxing. Clients report the experience of pain relief, improvement of body function and recovery of energy. Originally from Cambridgeshire, I served in the Royal Navy developing my interest in the human body by becoming a Physical Training Instructor. In 2000 I joined the Hampshire Ambulance Service, qualifying as a state registered Paramedic in 2003. I started to work for the South Western Ambulance Service in early 2005. I continue to work as a Paramedic in Cornwall, stationed from Newquay. Due to nature of my work I have suffered with several injuries and ailments over the years. I discovered the effectiveness of the Bowen Technique first hand when I received treatment for a long term lower back problem in 2010. I was astonished that only after a small number of treatments that my pain had gone completely. After experiencing the huge benefits of the Bowen technique for myself, I decided to train and become qualified so that I to was able to offer this amazing therapy to others. I studied with the European College of Bowen Studies (ECBS) and qualified in November 2013. I am now a fully qualified Bowen Practitioner, registered and fully insured with The Federation of Holistic Therapists (FHT). Reiki healing is a powerful hands on treatment that works with the universal life force energy of “Chi” to shift negative energy and dis-ease and brings the recipient into harmony. Originally developed in Japan by Dr.Usui in 1922, today there are many different variations and styles that have enhanced the original energies. It can be used for many different things including pain relief, to alleviate stress and to help with clarity or simply for relaxation. Whilst travelling around Asia and Australia in 2001 I discovered Reiki and yoga in a little town called Pai at the foothills of the mountains of Thailand and my beliefs and view of the world changed forever. Since then I have returned to Pai many times and have studied with some amazingly spiritual teachers. It was here that I was initiated into the very powerful Shamballa Multi-Dimensinal Healing system that I work with today. I have discovered that we all have the power within ourselves to change our lives for the better. It is my wish to help as many people step into freedom from fear that governs so much of our lives. Over the last 10 years of practicing Reiki I have seen some amazing transformation and healing take place. We live in exciting times where the world around us is changing rapidly and now more than ever it is important to connect with our inner voice in order to move forward with grace. I have also studied as a yoga teacher and have taught adults and children and have again seen some wonderful transformations. Yoga, Reiki it is all food for the soul. As well as Reiki treatments I will be offering Reiki attunements for anyone who wants to learn these special energies for themselves.